Are you an existing NetSuite customer ? Find out how CuriousRubik can help your business. Why CuriousRubik Support Services ? Finding, training and managing personnel to support your NetSuite business application, users, processes etc are the challenges faced by most organizations. Embracing the full power of NetSuite is not possible without the right people in place. Talk to us and we are sure to discuss how we can help you with your current NetSuite. What Modules Are Covered ? Does This Cover Onsite Support? For ad hoc support, absolutely. However, if you are undertaking a new project or have a change that requires more than one day of service or on site support, you will be advised that you need to engage with your CuriousRubik Account Executive for more detailed scoping. Speak to us to have more customized options. Whats Included In Support ? 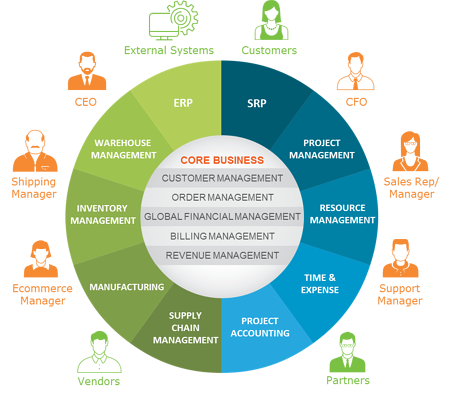 ERP is the transformative force running through your business. Successfully integrated ERP systems can realize savings almost instantly, identify issues before they become catastrophes and improve the performance of virtually every process in your organization. They can save you time and expense and enable decisions to be made faster with less risk. The modern ERP implementation integrates mobile devices and reaches beyond the office floor to encompass supplier and customer behavior. Not only does it cover internal resources, commitments and supply chains, but it also has added functionality, enabling collaboration and transparency, compliance and security. Our service offerings utilize NetSuite One Methodology and represent our 360-degree focus on every task necessary to ensure that our clients achieve the most business benefits possible. CuriousRubik services are beneficial to organizations just beginning an ERP project as well as those requiring assistance during or after the implementation process. Because we are technology-agnostic consulting team and well-versed in all of the major ERP systems, our expertise can be applied to any ERP engagement.